To become more acquainted with anything more about IoT Testing, we first need to comprehend what is IoT. The idea of IoT was introduced to remove the gap between the physical and digital world. The IoT is the connection of vehicles, home appliances, medicinal equipment using embedded electronics, microchips etc. to gather and exchange data of a different kind. This technology enables the user to control devices remotely over a network using a portable device like a mobile phone or laptop from other location. Z-Wave: Z-Wave is a wireless network standard that consumes low power and it is widely used for connecting smart devices in the Internet of Things (IoT) like home automation, security markets, etc. Z-Wave is a total communication solution, which consists of everything from the physical layer to the applications layer. RFID: RFID used to track consumer product worldwide. RFID is an intelligent barcode that can be operated using the networked system to track the product, vehicles or any object. NFC: It is used to empower two-way interactions between the electronic devices. This is basically for the smartphones and is mostly used for contactless payment transactions. Bluetooth: IoT devices can connect using Bluetooth. Bluetooth can set up the connection between devices to enable communication and exchange data. WiFi: WiFi creates a wireless network which helps in sending and receiving data packets to enable communication between IoT devices. IoT Security: In IoT, devices are equipped with IP Addresses and can transmit information over the system. When network comes into picture then security should be the first priority. From a testing point of view, we have to check if the information is encoded while getting transferred from one gadget to the next. In the case of UI, set password protection in ON mode. Connectivity: In the case of IoT, availability is an absolute necessity. Communication between the device and its operator might be built up if there is connectivity between them. There is also a possibility of a system to get disconnected once. So it ends up being critical to check the behavior of the system amid the disconnected period. Pilot Testing: Pilot testing is also one of the critical testing processes in IoT implementation. Pilot testing is verifying the entire system or a single component under real-world operating conditions, or we can say it is a practice for the usability of a system. Usability: It should be guaranteed that all devices connected to the network are constantly available as well as performing great. Additionally, there should be a choice to maintain a log of all devices to monitor a person's functionality and behavior. IoT testing approach can be distinctive in view of the architecture involved. Testers should concentrate more on the Test-As-A-User [TAAS] approach as opposed to testing in view of the requirements. One more real player in IoT testing is the Integration testing. IoT is effective if the Integration test plan is precise and sufficiently powerful to catch flaws in the system. 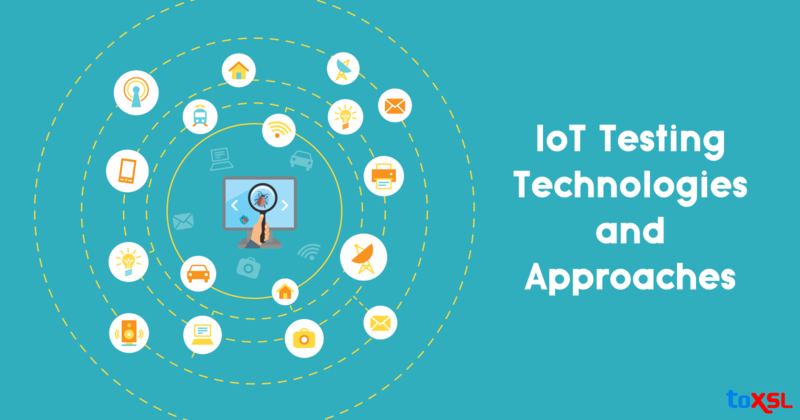 IoT testing might be a tough job, however, it is exceptionally exciting for the testing team to affirm such a complicated mesh of devices, protocols, hardware, operation systems, firmware etc. We hope this article helps you to expand your IoT knowledge. If you need more assistance for IoT app development, feel free to contact us.